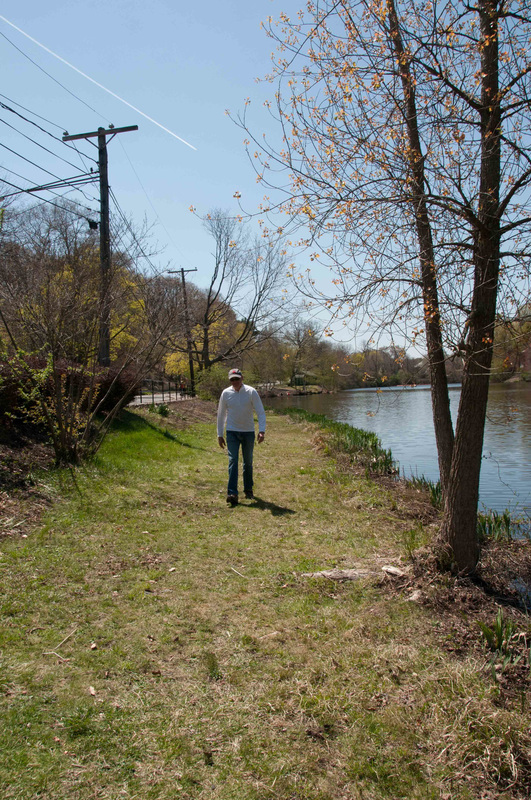 Many people who come to Bullough’s Pond come on foot. They come to walk on the grassy trails at the waters edge or on the sandy paths higher up along the street. That’s where the runners are, quietly circling round the pond. 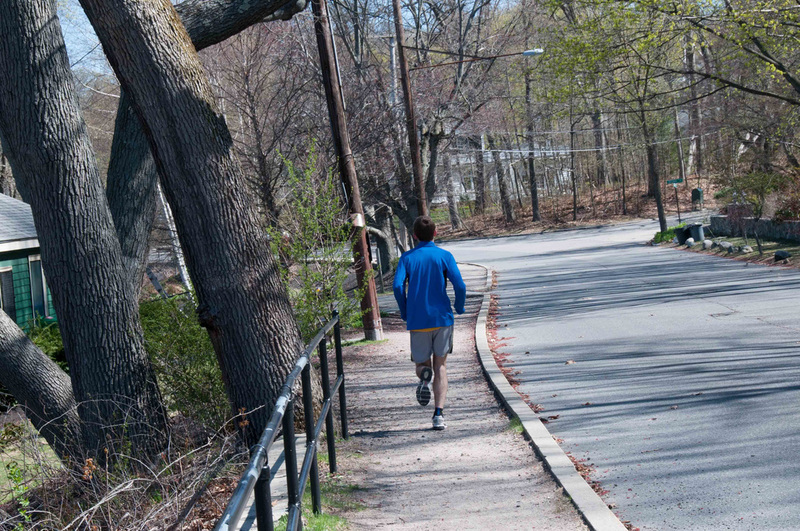 Some of the runners are training for the Boston Marathon, which passes along the southern edge of Bullough’s Pond on Commonwealth Avenue. On Marathon Day, thousands of runners approaching Heartbreak Hill run past Bullough’s Pond, no doubt too exhausted even to notice it. 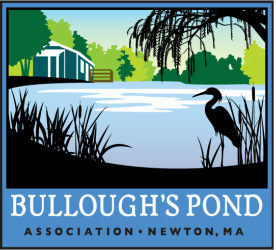 The Bullough’s Pond Association has, in some years, sponsored runners in the Boston Marathon and hosted a refreshments tent for participants.